Cary, NC – Africa is home to more than 50 countries and has a growing population of more than 1.1 billion. With so many people and cultures, there is sure to be a lot of food, and you can find an amazing sampling at Cary African Market. 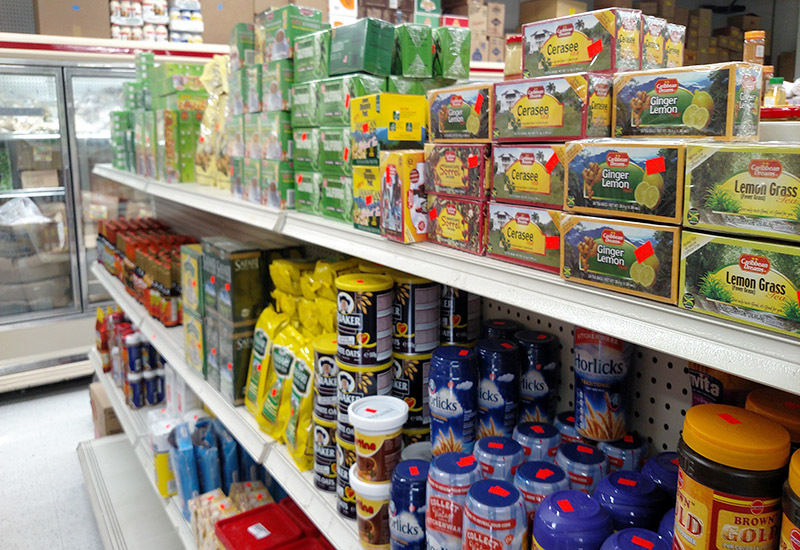 The Cary African Market on East Chatham Street has been in town for almost six years now. It’s a small store but there are shelves everywhere, all stacked of different foods and drinks, from dry flours for cooking to frozen vegetables for accenting to spices and mixes you cannot get at a large supermarket. One of the store’s employees, Hyacinthe, explained how African food is usually based around some kind of staple ingredient. In West Africa, this is fufu: a kind of soft, pudgy bread that can be used to mix with other foods. The market also sells the materials for plantain fufu if you don’t want to try mashing yourself. There are many ways fufu is made, from using maize and rice to even mixing in caramel– a Ghanaian style, according to Hyacinthe – but the most common fufu is made from cassava and yam. Large bags of cassava flour are packaged and ready in the store and there are also yams the size of your forearm for customers to try. “With a yam, you can peel it, boil it, chop it up or put it on a flame,” Hyacinthe said. There is so much food in the market, some of it sneaks up on you. 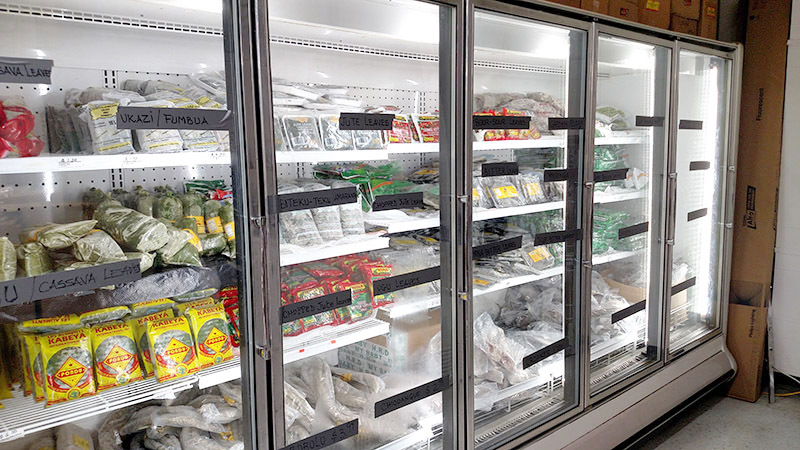 Hyacinthe opened up a large cooler to reveal a popular side dish in Côte D’Ivoire: acheke. Also known as attiéké, acheke is fermented cassava pulp that must be kept frozen and it’s common to mix it in with any fish or meat one eats in their meal. 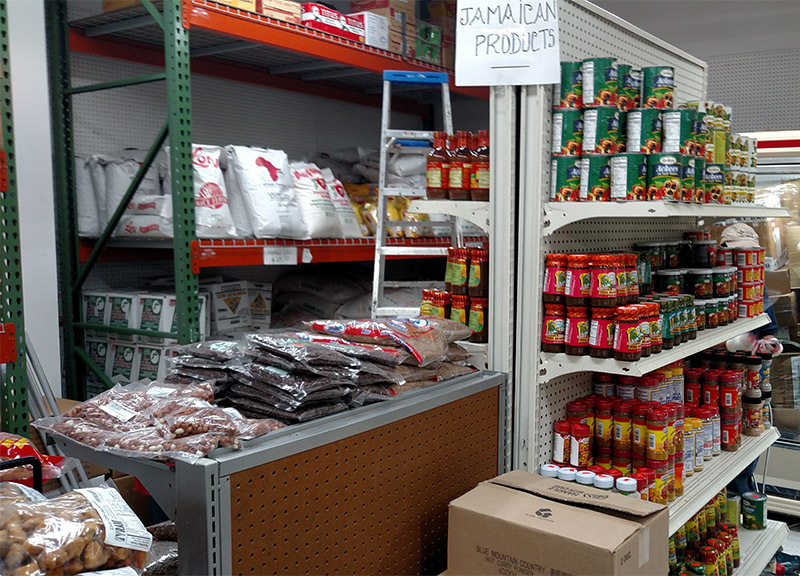 While these are all West African foods, the Cary African Market carries food from not only the various parts of the continent but also Jamaican foods, with canned ackee fruit as well as jerk seasoning and curry powder. Hyacinthe said much African food is very similar, comparing Western and Eastern African food. But one key difference he mentioned was how it’s more common to use semolina as a flour in East African cooking. Semolina is a wheat mill run made from durum wheat but don’t ask Hyacinthe how it tastes. But whatever a person’s background, the Cary African Market has food to make them feel at home. So if you want to explore an entire continent of new flavors, the Cary African Market at 748 E Chatham St. is a good place to start.